Boil the potatoes for two minutes, drain and pat dry on kitchen paper. Set aside. Heat a sauté pan and cook the onions, pepper and garlic until soft. Add the mince and seasoning and chilli powder and fry until browned. Fry the potato slices in a few sprays of low calorie oil until crisp and drain on kitchen paper. Season with more taco seasoning. 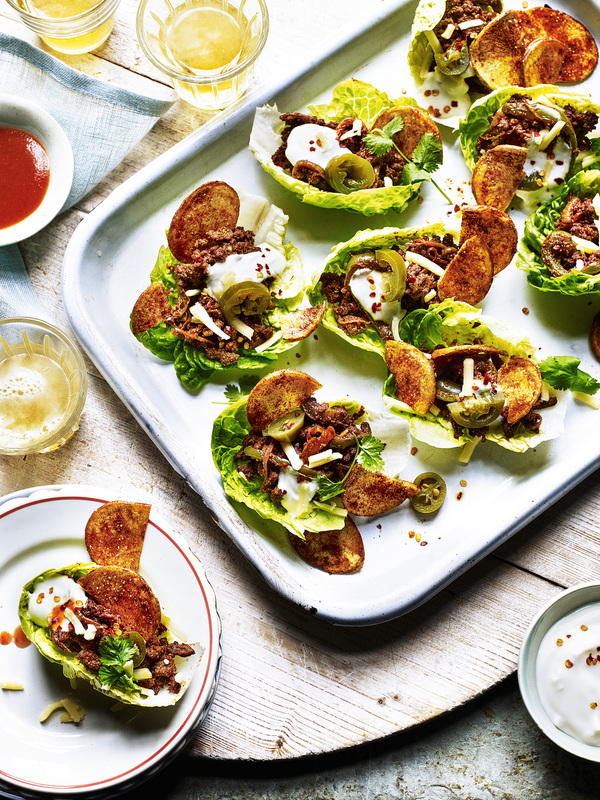 Serve the beef on the lettuce topped with the cream, cheese, jalapenos and coriander and some chilli flakes powder if you fancy.